Topic: Ouflah Does Artsy Things! Hello! I'll be sporadically posting some stuff here for your enjoyment! 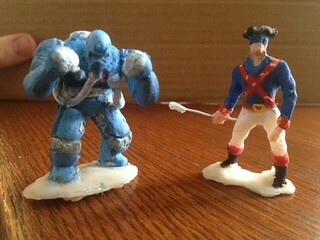 I made two FF miniatures (about the size of army men) out of polymer clay and painted them. 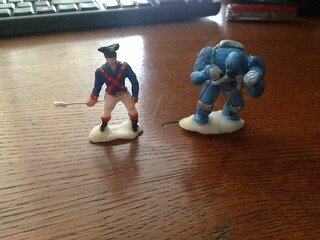 Welcome Minuteman and Man-Bot! Re: Ouflah Does Artsy Things! 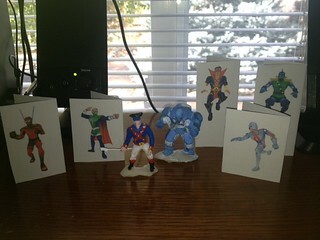 These cardstock stand-ups are placeholders for the figurines that I plan on eventually making. I kinda just wanted to have the guys I regularly use all together. I don't actually use Mentor that much in-game, but he's important to the plot, so I'll add him in there. Oh, I forgot to print out Tombstone. I use him too. Hey, you got the Ant! The Ant and Tombstone are my two favorites, I think. They're two of my favorites, as well! Man-Bot is my favorite story-wise, but it's hard to pick a favorite character as far as gameplay goes. I like them all! 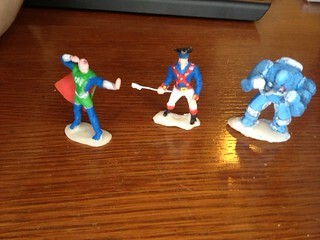 I've convinced some friends into doing a FF tabletop rpg (using these figures). None of us have ever done a tabletop rpg before and I'm the only one who has played FF, so it should be an... interesting experience. I've always wanted to do a tabletop rpg, though. They look so fun! Not sure which rule system to use out of the many free online rule systems available. Preferably I'll find something simple for us n00bs. Could try using Marvel RPG's campaign system for your game. I've been playing it with my friends and it's pretty fun. A few bumps, but overall it's still pretty versatile. What can I say; I'm an old Champions guy. How is the Champions Pen and Paper? I've never tried it before, but I've heard it brought up a few times here and there. I've never tried it, I'm afraid. 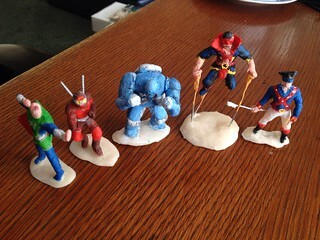 I was wondering about whether to paint the bases (at the moment they're just the color of the unpainted sculpey). I might try painting the bases black, and see how that goes. Black is probably the most fitting, IMHO. Most of FF takes place in major metropolitan cities, so painting them black would make them the color of street pavement. It's also a neutral enough color that even if they're on something else (grass, sidewalk, the roof of a building) it won't noticeably detract. But if/when I get a chance I think I'll do El Diablo next. Two new additions to the group! Still haven't pained the bases black yet, I'll do that eventually. I like the fire trails on El Diablo. You are making a good job out there. Holy Hannah, these are so cool! You're getting better and better at them as you go, too. I really like El Diablo and Mentor. 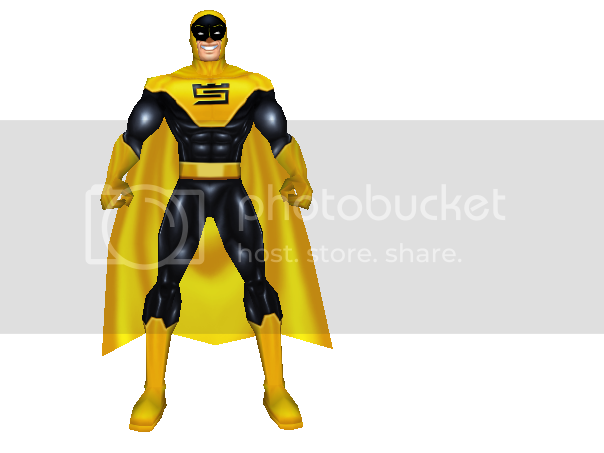 Darn it...now I'm going to have to start commissioning custom FF Heroclix figures. What have you done to me!? Hey guys! I haven't made any more of those miniatures (been busy) but I did just start up a weekly webcomic called MOST. The first six pages went out today, and after that it'll be on a schedule of one page per week. Oh no! 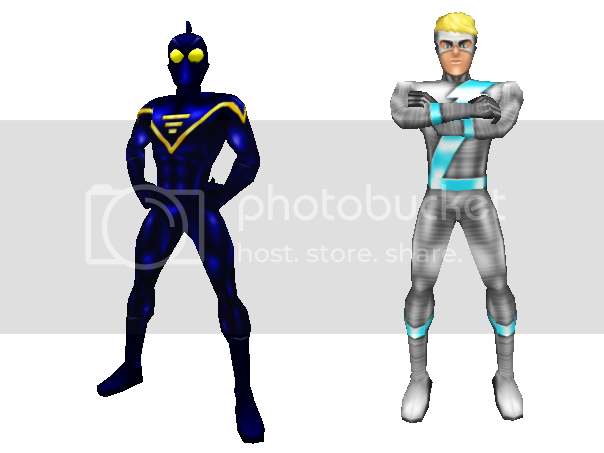 Ultraman got the Symbiote on him!!! Haha, seriously though, I like it, Ouflah! Had a bit of time so skinned them both. This totally made my day! That's so cool dude! Great work! With the work you put into this I like to show my appreciation, even if its just a quick skin. Solid skin. I always enjoy your colour work.